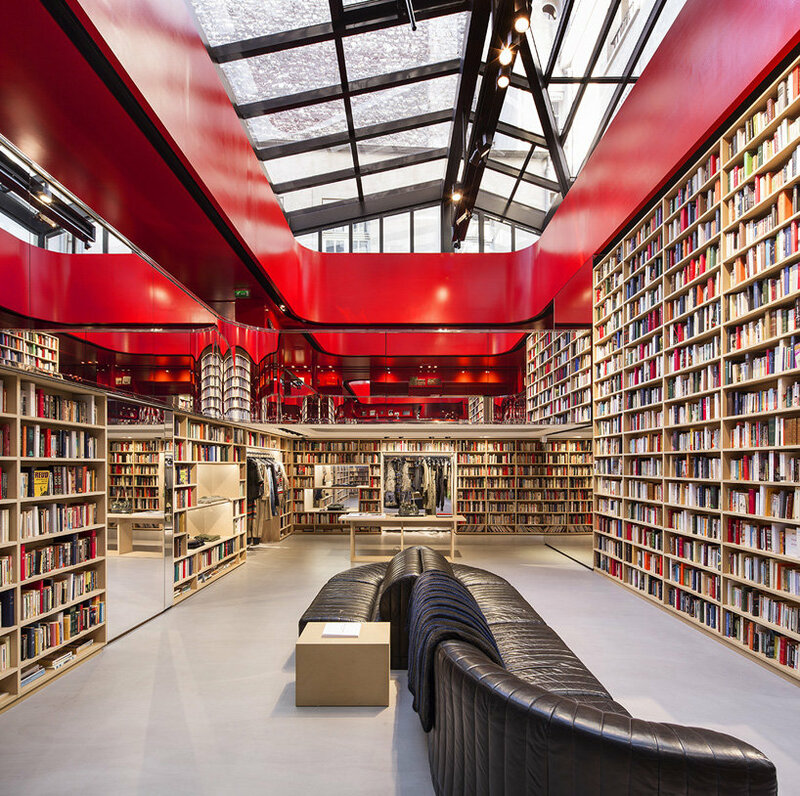 Sonia Rykiel’s flagship store has taken form of a library in a pop up concept designed by artist André Saraiva and art director Thomas Lenthal. 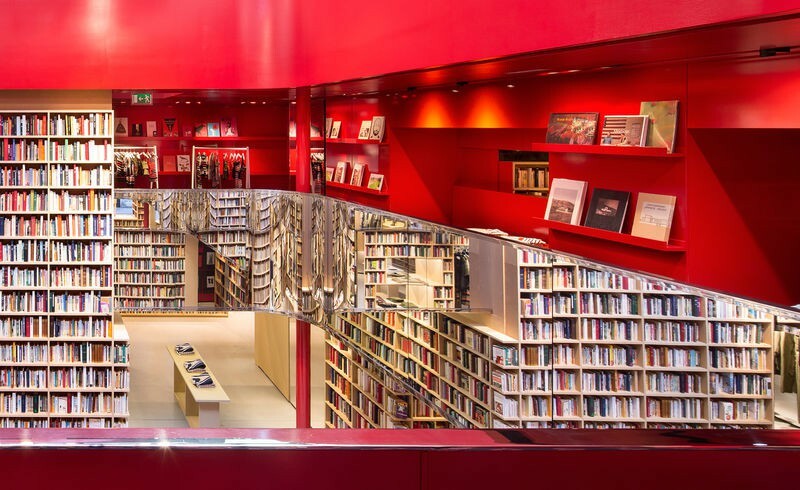 Bookshelves from floor to ceiling trace the store’s interior perimeter creating a mesmerising literary space. Mirrors compliment the towering bookshelves creating depth and an enchanting experience of curiosity. 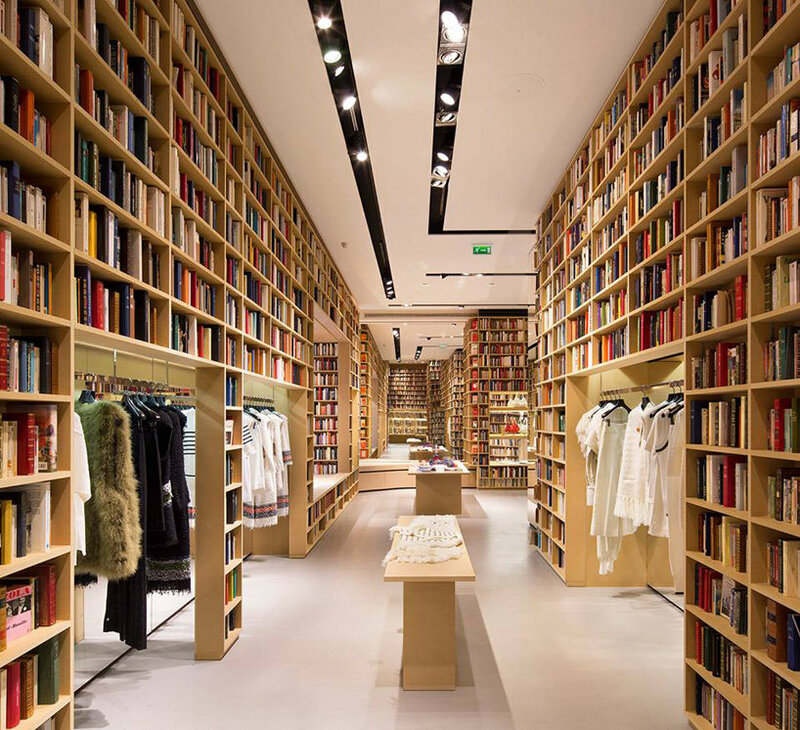 Interspersed along the lines of books the latest fashion collection can be found, set within rectangular voids in the book wall. This retail space doubles as an intellectual space, being part- boutique, part- library. This concept is completely unique yet original, creating a fun and exciting new experience for the customer.